It seems necessary to riff on aspects of time lately, so here I go again. In an earlier post I mentioned the benefits of taking the Long Now approach to time, seeing yourself playing in the future, simply sticking with it. If four year olds and marshmallows rings a bell, you’ll remember from another post that it can pay to have patience, a special and valuable relationship with time. A few days ago I mentioned playing with rhythm, yet another form of time. Today, I’m interested in rhythm again, specifically practicing with the necessary slowness. 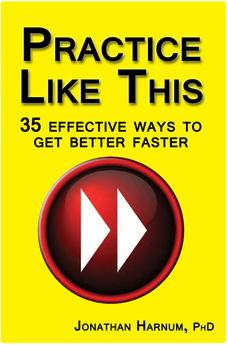 When you practice slowly however, your focus shouldn’t be only on the relative slowness of the change from one note to the next, your focus should encompass more, most especially on not making any mistakes. None. Zero. Zip. Zilch. This is the most essential component of going slowly. Don’t practice mistakes! The myelin production process in your brain doesn’t care about right or wrong. It knows no difference. Myelin is a white coating of fatty substance that increases the efficiency of neuron firing in your brain. Neurons responsible for things you practice or do often get thicker coatings of myelin so they work better. If you fail to eliminate mistakes, even simple ones, the myelin will be coating the wrong movement/breathe/whatever. Going slowly will help you avoid this. If you go slowly enough to really listen, your attention can encompass other important aspects of your playing, too. What I mean is that your focus should also include all the other meta-musical behaviors necessary for good tone and solid playing: posture, breathing, relaxed-ness, etc., and also adjusting, changing, experimenting and evaluating each of these if you’re new at the instrument. Memorize whatever it is you’re working on. 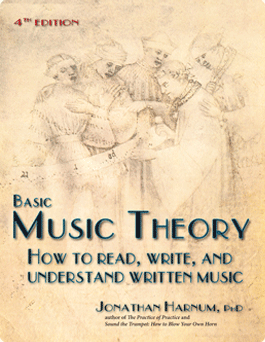 Not reading music will free up the cognitive load on your brain and allow you to pay attention to other things. And of course, remember that sometimes it can be good to forget all that attention crap–all that trying–and just listen to the tone and not think about anything at all. Find your own balance with these concepts. Cat Anderson would play a 2nd line G (an easy mid-range note on trumpet) as quietly as possible for 30 minutes! Of course he stopped to breathe, but maybe not. There is such a thing as circular breathing. Going slow is essential. But what if you’re trying to learn an improvised solo, say this one below by Cat Anderson (a very worthy candidate) and it’s just too fast to take in? You can slow down that, too, with some digital trickery. There is a great free program called Audacity, which is able to slow down any sound clip without changing the pitch. It’s an easy, intuitive program to use and many help files and manuals are available if you get stuck. Before you see the vid with Cat Anderson, consider what slow practice means in the words of flute master and teacher, Julius Baker who said, “You’ll never make a mistake if you never make a mistake.” Have patience, go slowly enough to eliminate all mistakes. Go slowly enough to really listen to yourself and perceive other aspects of your technique. Sounds easy, but you may be surprised. Enjoy the vid of Cat Anderson playing a 12-bar blues in C! A tasty 12 bar blues in C (that’s the key of D for trumpet) w/ Cat Anderson on muted trumpet taking the solo, Duke Ellington and his band backing him up. A tight and tasty performance. A great solo to learn on any instrument if you’re into the blues. 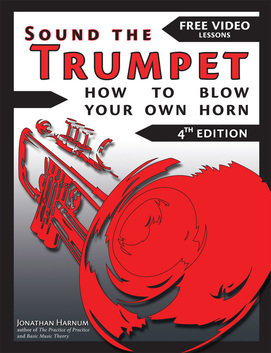 It’s more than a little challenging on trumpet, as you might imagine. This would be a fun one to try to imitate on guitar. Maybe with a wah-wah pedal. Inflection is everything!